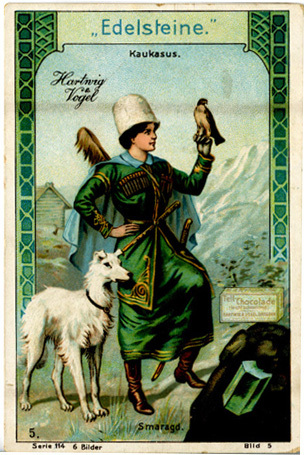 – From Gübelin & Koivula, Photoatlas..., Vol. 2, p. 662. 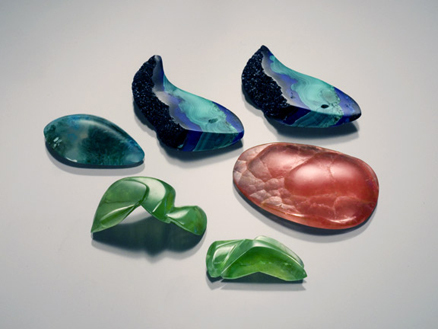 Bud Standley continues to wow gem enthusiasts with his freeform carvings. Working in a variety of materials, Bud’s ability to bring out aesthetic forms and subtle beauty is well polished. With 36 years of cutting, carving, and polishing under his belt, Bud has refined his craft for all of us to enjoy. 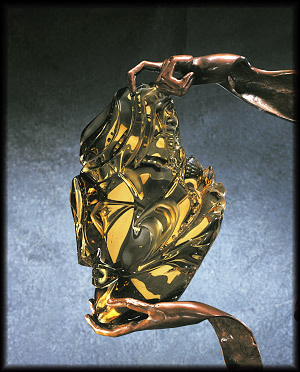 Bud’s work is regularly featured in the Bonhams & Butterfields auction catalogs. Not only are Bud’s skills exceptional, but the materials he uses are also noteworthy, as can be seen in the pieces pictured above. The crysocolla-malachite is from Globe, Arizona, and looks like bright green and blue moss growing in a transparent sea. The azurite-malachite pair is from the famous Bisbee Mine in Arizona and exhibits wonderful malachite bands, azurite oolites, and azurite druzy. The green smithsonite is from the 79 Mine near Hayden, Arizona, and glows with a lime green hue. The rhodochrosite is from Kazakhstan and shows a botryodal habit. We received the following information on Scottish river pearls from Alan Hodgkinson, President of the Scottish Branch of The Gemmological Association of Great Britain. I have attached some Scottish river pearls from my own teaching collection and also a view of the Scottish pearls which I photographed some time ago including the largest Scottish gem pearl—the 44 grain Wee Willie now in the hands of Mrs. Rennie at Cairncross the Jewellers, Perth. Overfishing and vandalism of the mussel beds in search of the pearls, which was aggravated by smashing the shell fish in search of the rare pearls has almost wiped out the species, never mind the pearl itself. Consequently the Scottish Parliament has introduced legislation aimed at curbing the wanton destruction of the species Margaritifera margaritifera. As a follow-up to last year’s Gem News item on abalone pearls, New Zealander Lou Hill has alerted us to his new website devoted to this natural phenomenon. The website includes an overview of abalone pearl formation and lots of photographs of horn- or tooth-shaped pearls, round pearls, and pearl clusters. 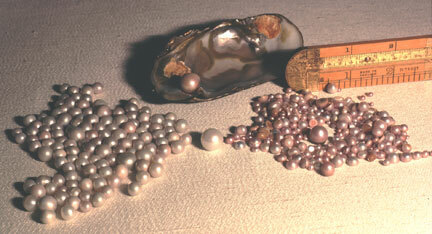 Brown’s article discusses the rarity of the pearls (possibly one in 900,000 animals), length of time required for formation (8–10 years), and distinguishes between formation of pearls found in the shell, peripheral mantle, and gonad. Exactly what causes the formation is still debated, and Brown discusses the various theories. 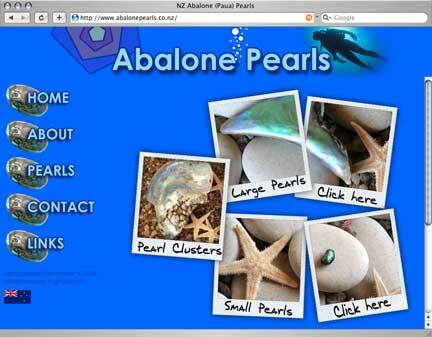 The article, “Unusual Abalone Pearls,” is available from Hill’s home page; look for the “UPDATE” link. Dr. Brown has made available a 2004 article, “Culturing Abalone Half-Pearls: The story of the New Zealand Eyris Blue Pearl™,” on the Australian Gemmologist website. 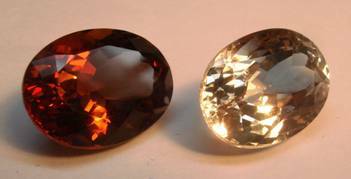 On July 19, a gem dealer in Thailand distributed a trade alert email regarding “orangey to reddish to pinkish brown precious topaz” that “fade[s] to near colorless” upon exposure to direct sunlight for one day. The dealer, Jeffery Bergman, the American founder of Primagem, said that the gemstones in question have increased in volume significantly over the the past few months. Some dealers represent these gems as Burmese, others Brazilian. In Chanthaburi they are available for as little as US$1/carat. Unfortunately there are already several Thai based dealers selling them to unsuspecting consumers on eBay with no disclosure of the color stability problem. I recently acquired three samples from a Chanthaburi dealer, one 18ct, one 22ct and one 36ct. All exhibited a lovely classic strong orangey “sherry” color on the ends of the stone, and a medium slightly orangey brown in the belly. Jewelry industry leaders met with representatives of the U.S. Nuclear Regulatory Commission (NRC) on July 26 to discuss irradiated gemstones in general, and imported blue topaz in particular. The meeting, held at NRC offices in Rockville, Maryland, was attended by about twenty reps from American Gem Trade Association, Jewelers Vigilance Committee, and Jewelers of America, International Colored Gemstone Association (ICA)amongst others. A summary of the meeting was issued by Barbara Lipatapanlop, Executive Director, ICA, and was prepared by Cecilia Gardner, President, Jewelers Vigilance Committee. NRC Tests Samples. 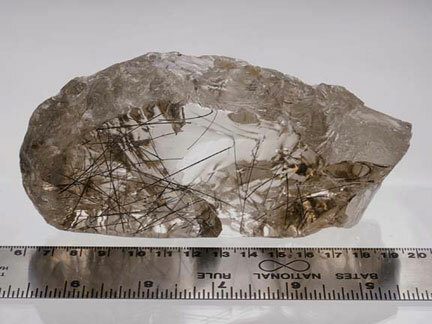 Following the meeting, the NRC conducted tests of nine lots of irradiated topaz, on August 2. The NRC “found all stones tested safe for wearing (eight of the nine samples measured at background radioactivity levels and one twice above), it is not yet ready to declare huge industry backlogs of this gem safe for selling,” according to David Federman’s August 8 story. See also these recent items from Gem News on Palagems.com. 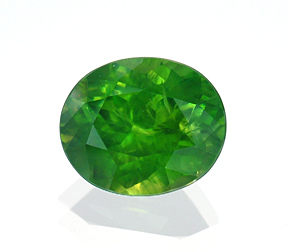 Stones like this peridot from Pakistan come from areas that have been hit by rains and landslides. It’s available. Life for gemstone miners in Pakistan has been challenging, to say the least. The 2005 Kashmir earthquake displaced thousands, and this summer’s monsoons have caused some of those who had been fortunate enough to return, to flee again. While no actual mining areas are mentioned in the following, these are all known to involve mining. 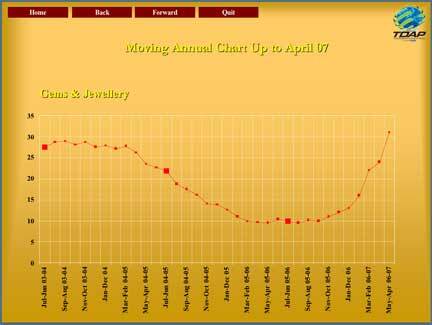 When we last looked at Pakistan’s gem and jewelry exports, there was a clear decline from year 2001–02 through 2005–06—a decline of 40 percent. 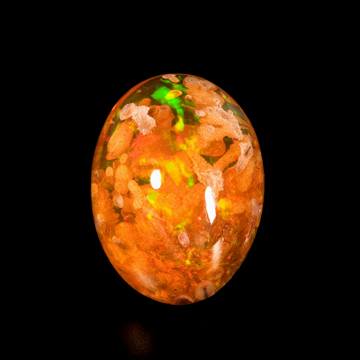 Exploitation of Pakistan’s gemstone resources appears to move forward, however slowly. Finally, we happened upon the following information in a job posting, dated July 30, on Trade Authority of Pakistan (TDAP) website, which may give some insight into the approach being taken. Currently, Pakistan imports more than 120 tonnes of gold per annum, which makes it the eighth largest consumer of gold in the world. In the year 2002, Pakistan exported gems & jewellery worth US$32 million (which went down to US$28.2 million in 2003). Although, the volume of gems & jewellery exports from Pakistan is of no great significance in the total global trade of US$84.4 billion and much lower than India, who is our biggest regional competitor, nonetheless the growth potential of exports in the sector is huge. Pakistan has been gifted with abundant resources of several precious and semi-precious gemstones, mostly located in the Northern Areas and the NWFP, but there lies a massive untapped potential in Balochistan. 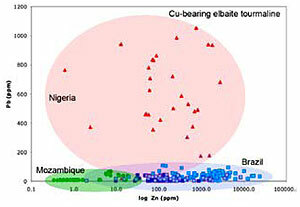 At present, there is no formal survey available to identify the geological resources of gemstones in the country. Furthermore, due to the lack of realization of its importance as an industry, those who are engaged in the mining, cutting / polishing and trading of gemstones in Pakistan have not been able to exploit the full potential of this sector. The posting went on to describe the marketing needs. The Trade Development Authority of Pakistan requires the services of a consultant who could advise on and execute the aggressive marketing of Pakistan’s Gems and Jewellery sector based on Pakistan’s SWOT [strengths, weaknesses, opportunities, and threats] analysis in the face of current and emerging competition. 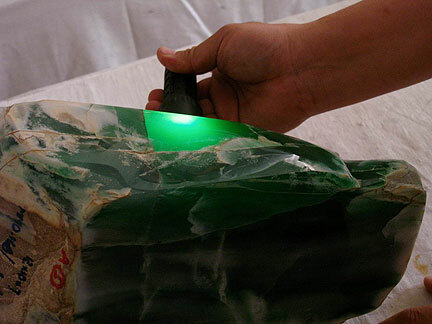 The fourth Burma jade and gemstone auction of 2007 is scheduled to be held August 21–25 in Yangon, according to the online weekly The Myanmar Times. Burma’s Special Sale of Gems, Jade and Pearls, which ended July 16, was its “biggest ever gem auction,” according to Agence France-Presse (AFP) on July 17. According to Pala Gem News statistics, this would put the sale’s figure at above $185 million. The story was echoed a week later in The Myanmar Times (MT). Gem Lots: Losers. 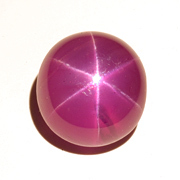 While the MT article claims that jade sales set a record, an unnamed official stated that gem sales amounted to barely 10 percent of lots on offer—“markedly fewer” than those sold at the March 2007 sale. “We could only sell 27 gem lots out of 246,” the official said—20 fewer than at the March sale. He blamed the fall in sales to the cooling Thai economy, even though the same number of Thai merchants attended this sale as in March. AFP quoted the official Burmese-language newspaper, The Mirror, as saying that total lots sold topped over 70 percent of 6,473 lots offered. The official New Light of Myanmar (print edition) stated on July 18 (with a July 16 dateline) that 4,665 lots of jade, gems, and pearls were sold—nearly 73 percent. In an odd follow-up twist to our report last month, about “Gold Woes” in Kachin, the state’s military commander, Maj-Gen Ohn Myint, has banned gold mining altogether—in areas controlled by both ceasefire groups and the military junta. According to Kachin News Group (KNG) on July 17, the order was given at a meeting conducted by Ohn Myint and ceasefire group delegates, in the Kachin capital of Myitkyina. Ceasefire group sources said that the order had come from Nay Pyi Taw, the national capital. 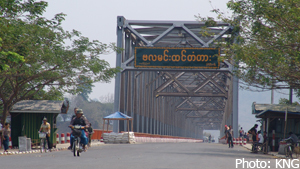 No reason was given for the ban, but the KNG article states that the main ceasefire group on June 30 “demanded that the ruling junta confer legitimate ethnic rights and rights of self-determination of ethnic state in the new Constitution” and that the junta had been putting economic pressure on the ceasefire groups before the final session of the Nyaung Napyin National Convention, which began July 18. The reason may be otherwise, however, at least near Indawgyi Lake (south of the Hpakan jade mining area). The Irrawaddy on July 26 quoted a Hopin official: “[The miners] had no legal permission to operate gold mines in the area, and troops from Northern Command arrested them.” Farmers near the lake complained that mining was blocking or diverting streams due to mud. This is a new and improved edition on the famous Crater of Diamonds State Park in Arkansas. It now includes 39 new pages with more stories and photographs of this American treasure chest. 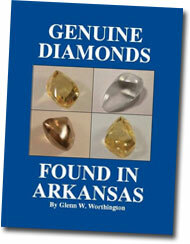 Genuine diamonds were first found in Arkansas just over one hundred years ago. Genuine Diamonds Found in Arkansas uses hundreds of photographs, maps, and charts to help tell the story. The author includes first-hand accounts of his diamond finds, and tells about the years he spent in diamond exploration and recovery. This accurate account is a fascinating read. While we haven’t yet laid our hands on this book, we thought it of sufficient interest to include here. 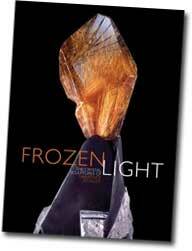 The author is a Fellow of the Gemmological Association of Great Britain. He was responsible for the design and development of an inexpensive range of test instruments that the student of gemology could afford. The following description comes from the book’s website. The average person considering buying gem set jewellery or loose stones is faced with a fabulous glittering and colourful array of beauty and value. A wide choice of stones, some with household names, others strange but very attractive. Complicating things even more are the doubts as to which are real and which fake. 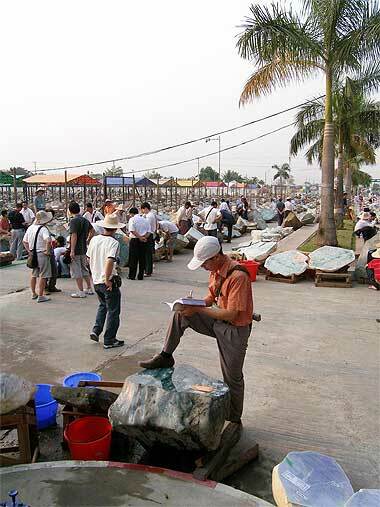 The situation becomes more difficult each year as techniques for ‘improving’ stones progress and synthetics swamp the market. 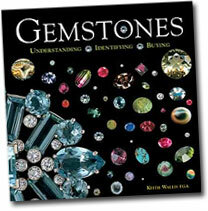 Gemstones is a unique book that introduces the layperson to this complex world in simple and easily understandable terms. 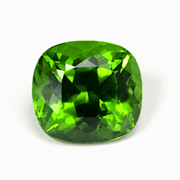 Describing what constitutes a gemstone, their history, and some myths and legends surrounding them begin the introduction. This is followed by a section covering seventy or so gems with an emphasis on diamond, particularly its identification. 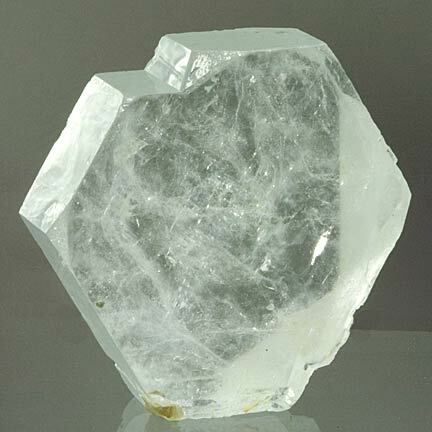 A section on organic gems, i.e., ivory, shell, coral, etc. follows. Both these sections are fully illustrated with colour photographs of the stones. A trip around the world follows, covering many countries visited by those on holiday or business, and describing what, and in some cases where, to buy. Words of warning are also given as to what one should avoid. The influence of the Internet is recognised, with relevant websites helpfully listed. Appendices cover translation in four European languages, physical properties of the gems and colours. A glossary of terms and a comprehensive index is included. Colored Stone has reported on the results of U.S. Nuclear Regulatory Commission (NRC) testing of nine lots of irradiated blue topaz, conducted on August 2. The NRC “found all stones tested safe for wearing (eight of the nine samples measured at background radioactivity levels and one twice above), it is not yet ready to declare huge industry backlogs of this gem safe for selling,” according to David Federman’s August 8 story. 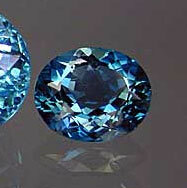 Stuller, Inc. has suspended sales of blue topaz stones and jewelry, according to a news release dated July 16. Jewelry industry leaders will meet with the Nuclear Regulatory Commission (NRC) on July 26 to discuss irradiated gemstones in general, and imported blue topaz specifically, it was reported last week by Jewelers Circular Keystone (JCK). The meeting, which will be held in Rockville, MD, will be attended by Rick Krementz of the American Gem Trade Association, Cecilia Gardner of Jewelers Vigilance Committee (JVC), and Tim Haake of Jewelers of America. On the NRC side will be members of the Division of Material Safety and State Agreements, and the Division of Interagency Liaison and Rulemaking. Burma’s Special Sale of Gems, Jade and Pearls, which ended Monday, July 16, was its “biggest ever gem auction,” according to Agence France-Presse (AFP). 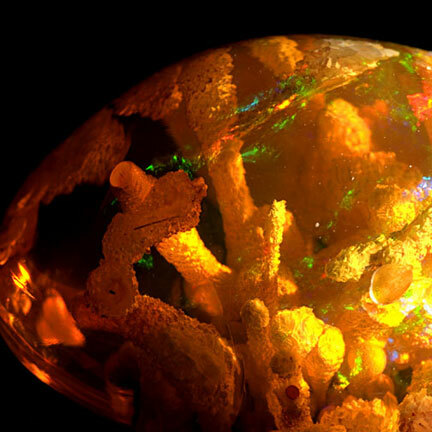 The claim was made by on Tuesday by “state media.” According to Pala Gem News statistics, this would put the sale’s figure at above $185 million. In an odd follow-up twist to our report earlier this week about “Gold Woes” in Kachin, the state’s military commander, Maj-Gen Ohn Myint, has banned gold mining altogether—in areas controlled by both ceasefire groups and the military junta. According to Kachin News Group (KNG) on July 17, the order was given at a meeting conducted by Ohn Myint and ceasefire group delegates, in the Kachin capital of Myitkyina. Ceasefire group sources said that the order had come from Nay Pyi Taw, the national capital. 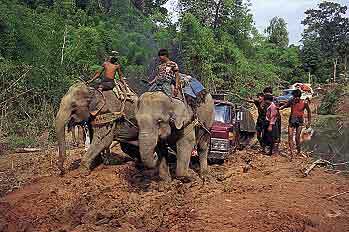 Details are emerging regarding Burma business tycoon Te Za’s jade mine operations in Phakant, Kachin State, in northern Burma. (We reported on the commencement of operations in May.) Te Za’s Htoo Trading Company is involved in an alliance with the Myanmar Dagaung Co. Ltd. Both companies are close to the leaders of Burma’s military junta. The companies are operating and will continue to operate all jade mines in Phakant. 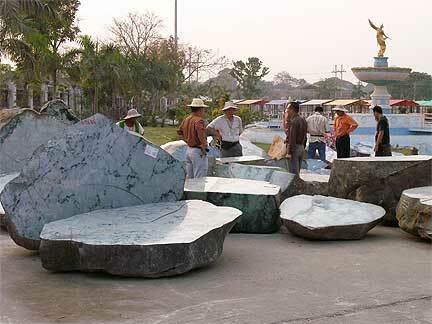 A Special Sale of Gems, Jade and Pearls currently is underway in Yangon. According to the official New Light of Myanmar (NLM) print edition on July 13, “4,032 jade lots have been sold through tender and competitive bidding systems” during the sale. A July 5 NLM article stated that 349 lots of pearls, 246 lots of gems, and 5,878 lots of jade would be sold. The sale ends July 16. The Myanmar Times reported earlier this month on the struggle of goldsmiths due to the high price of gold. “On the domestic market prices in 2005 jumped from K632,500 an ounce to more than K1.4 million an ounce in less than a month.” The article quotes a goldsmith as saying that “the majority of people cannot afford to buy gold at such high prices.” Mine shutdowns due to weather and landslides also have affected the situation. Burma Bill is now the “French Connection.” He was in France recently at the Sainte-Marie-aux-Mines show. This is mainly a mineral show, but there were plenty of other gem-type collectibles to be found. 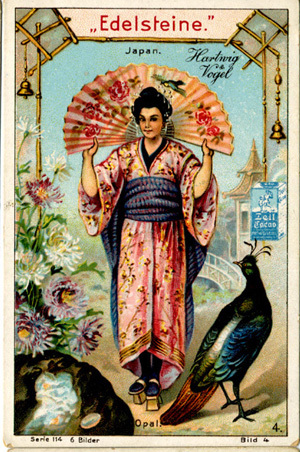 Bill, being a connoisseur of the truly rare and unusual, bought 33 colorful and beautifully illustrated cards. 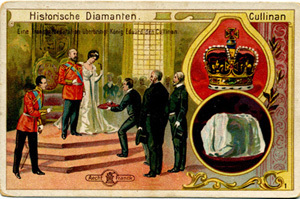 One set features famous gemstones (see, for example, the Cullinan Diamond at right). A second set depicts scenes involving different levels of the gem trade—from mining to adorning. 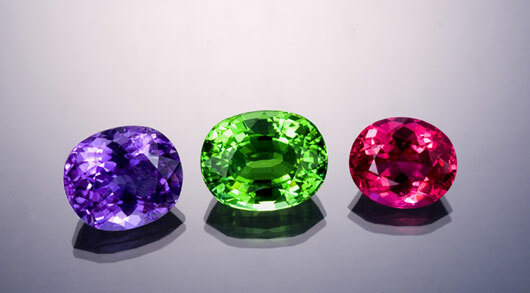 Bill also obtained a set featuring all the major gem varieties coupled with a corresponding character (shown below). The set was issued by the chocolatier Hartwig & Vogel. These baseball card-like items are called chromolithographs. They were made around the turn of the (19th) century and all are in the German language. The paraiba saga continues as the hot topic in the gem trade, as evidenced in Las Vegas this month. There’s still a lot of discussion and intrigue surrounding these copper-bearing tourmalines: Where are they from? Are they natural? Why are we all drawn to their neon colors? It seemed like no one could walk by our booth without pausing to hover over our showcase full of Mozambique tourmaline. The beautiful array of new colors from this deposit is still quite captivating. Purples, lavenders, mint greens, and of course the “paraiba” blues that first seized the interest of the gem industry. There were a lot of dealers displaying the Mozambique material, but upon closer investigation a majority of it was heavily included and lighter in saturation. 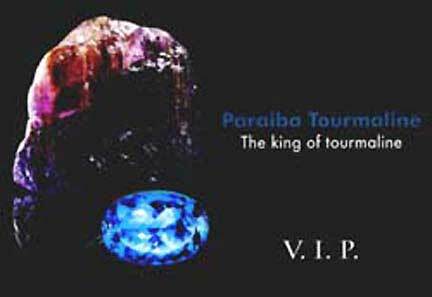 A few dealers are insistent on reserving the term “paraiba” for the gems originating from Brazil. Most, however, have adopted the term as a color and they simply disclose the country of origin in the description. No matter what we call them, all of us seem to be under the spell of these glowing beauties. There was even a Paraiba Party this year in the penthouse of the Venetian. The V.I.P. invitation below shows the purplish violet rough behind an inspiring electric blue oval brilliant. See the exciting neon color in Pala’s inventory here. Penthouse party. Invitation to V.I.P. event held in Las Vegas’s Venetian Hotel. A sale in London this week set a per-carat record for a blue diamond, at $655,480. The circular-cut grayish-blue diamond, 7.81 carats, was offered as part of Christie’s June 13 sale [click for photos] that featured two royal collections from Italy and Yugoslavia. The blue diamond, in a ring of a ca. 1920 vintage, is claimed by Christie’s to be “one of the finest examples of its type,” according to a press release. The American Gem Trade Association (AGTA) announced Thursday the resignation of Douglas K. Hucker, as Chief Executive Officer. 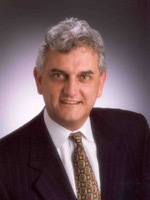 Hucker had served as CEO for the past ten years, after serving on the trade organization’s Board of Directors. No reason was given for the resignation in this AGTA press release. According to the release, Hucker will continue to serve the AGTA for the next six months in an advisory capacity. 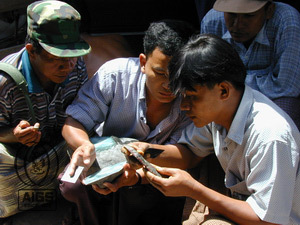 Burma gemstone exports reached $296.9 million for the fiscal year ending in March 2007, Customs Department figures reveal. The online weekly, The Myanmar Times, which carried the story on June 4, reported that an unidentified Myanma Gems Enterprise (MGE) official said that the three jade and gem emporiums held over the last twelve months made up the bulk of the income. 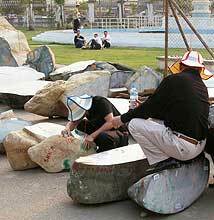 “Jade production increased and Chinese passion for jade pushed up prices and demand,” he said. Out of $5.01 billion from various economic sectors, MGE came in third, behind oil and natural gas ($2.16 billion) and timber ($519 million). Total dollars obtained in foreign trade were 7.93 billion, a 43 percent increase over the previous year, with a $2.09 billion surplus. 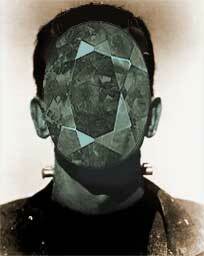 In a new monograph of his work, artist Lawrence Stoller gives us a little history of his immersion into the world of crystals and reveals “the fact that the book was writing me.” The book is mainly filled with gorgeous photographs of his creations, while the text is devoted to his poetic explanations and recollections of far-out journeys. 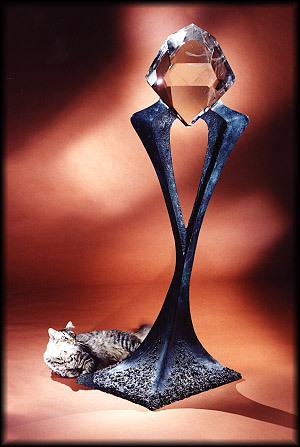 Lawrence takes us on a trip through the creative process—from selecting crystals, to sculpting and polishing, incorporating mixed media, creating a stable platform, and obtaining the final aesthetic beauty of a complete work of art. These surreal formations of “frozen light” blend the artistry of man and the intricacies of nature. 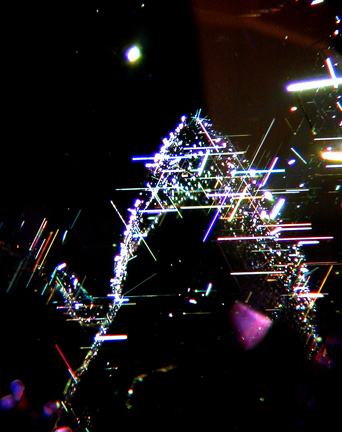 For more information, visit the CrystalWorks website. This colorful and informative book takes us on a voyage in search of the rare and elusive pink pearl and its migration into the world of fashion. 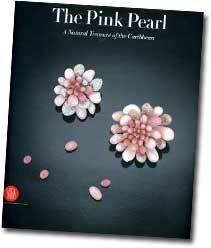 Set in the brilliant blue waters of the Caribbean we get a glimpse into the lives and lifestyles surrounding the queen conch shells that produce these pink beauties. We’re taken from the local conch shell and meat used by the natives, to collectors like Sue Hendrickson, who seeks out and dives for the pearls. Beyond the hunting grounds we follow a collection of 30,000 pearls as they disseminate into jewelry design and fashion. The popularity of the pink pearl is in a renaissance period, with an expanding market for natural pearls and rare collectables. Visually stunning—and a fabulous story. Attention Gemstone Cutters and Carvers! It’s time for the JCK Las Vegas show. Pala International will be there in force, with one of America’s largest selections of fine colored gems. The AGTA Pavilion opens one day early—Thursday, May 31—before the main JCK Show. Pala International’s Bill Larson attends this event every year, held in the midst of the Alsace wine region of northeastern France. See his report from the 2006 show. Pala International’s sister enterprise, The Collector Fine Jewelry, presents a special open house event, this coming Friday, May 18, and Saturday, May 19. You’ve been reading about paraiba tourmaline for months here in Gem News. 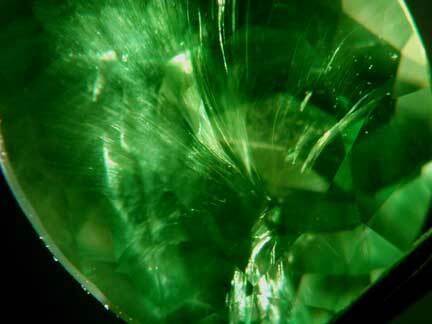 Now see a selection of what Mozambique has to offer in the way of paraiba-type tourmaline. 912 South Live Oak Park Rd. Pala’s Bill Larson is back from Asia, where he picked up this trio of luscious paraiba-type tourmalines from Mozambique. Tourmalines from this area in Mozambique continue to surprise us with surreal colors. This is another striking reminder of how pure and vibrant color can be when Mother Nature adds copper to the mixture. The shipment from which these were taken just arrived yesterday and we simply couldn’t wait to let you know about them. They’re sure to go fast... Give us a call. In a packed room, an Asian private collector on the phone made history acquiring the legendary Baroda Pearl necklace for more than $7 million, while an anonymous bidder paid more than $3 million for an exceptional 22 carat Kashmir sapphire, making it the most expensive sapphire in the world. This auction marks a turning point in the jewelry world where original design, rarity and provenance prove to be just as important as the quality of a gem. 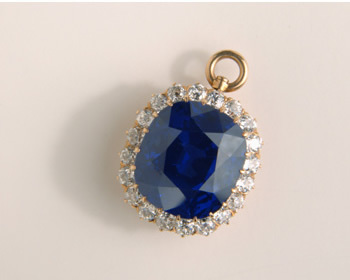 The sapphire also set a record for price per carat, at $135,000. It once was part of a sapphire and diamond necklace given Mary Hill in 1886 by her husband, James J. Hill, known as the “Empire Builder” due to, among other business ventures, his successful development of a 1,700 mile transcontinental railroad without public money or land grants—and without going bankrupt. Following our February 2007 update on gemological lab policies regarding paraiba-type tourmaline, we received a note from another laboratory—SSEF Swiss Gemological Institute. We’ve received a couple of responses to our December story, “Red Hot and Blue: Irradiated Blue Topaz,” in which we discussed safety issues surrounding irradiated blue topaz. 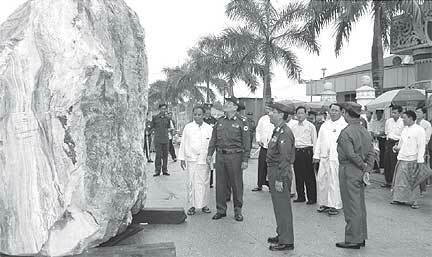 One reader, a trade member from Thailand, asked about other irradiated stones, such as kunzite and smoky quartz. Another reader, a prominent scientist, questioned why we were resurrecting the issue of “Franken-stones” when it had been settled in the 1980s by government action both here and abroad. 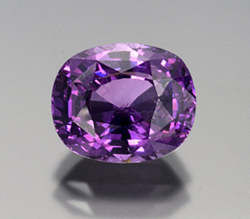 So we sought out clarification of the science and treatment methodology from John L. Emmett, an expert in the physics, chemistry, and heat treatment of corundum. He also weighed in on whether government regulation of irradiated material has been entirely successful. And we thought it might be time to contact our industry insider to find out whether there had been movement regarding self-regulation on safety issues. Finally, we noticed a Modern Jewler article last month by David Federman, regarding a new topaz enhancement that’s an alternative to irradiation. The following news items pertaining to Burma were published since our last Gem News. 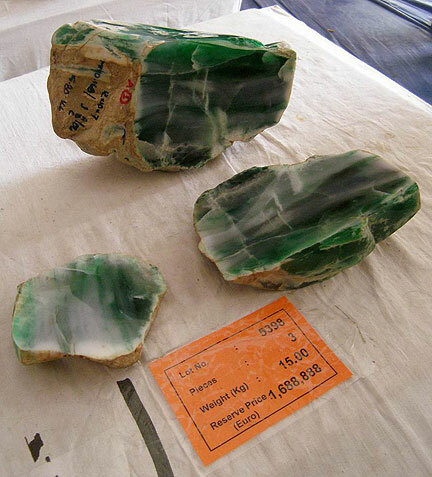 Burma to Grant More Jade Mining Blocks to Local Businesses: Burma will grant 319 mining blocks to local entrepreneurs, People’s Daily Online reported May 4. Each block measures one acre and will be leased for three years. Te Za Begins Mining in Phakant: Burma tycoon Te Za has begun jade mining operations in Phakant, in the Kachin State of northern Burma, Burma News International reported May 1. The area was confiscated with the help of the Phakant-based military junta, displacing “over 30 households in each mine area.” The households received compensation. Burma Forms First Gem Merchants Association: Burma's largest business organization and the Ministry of Mines are facilitating formation of the country’s first rough-gem merchants association, the Myanmar Gem Merchants’ Association, Rapaport reported April 15.